The brand for Fire and Light, Grilling and Outdoor Cooking, Bushcraft und Survival. It is the philosophy of our company to see the values of tradition, innovation and quality as both goal and motivation for developing the brand further and introducing innovative ideas in the fields of outdoor cuisine and camping life. Tried and tested approaches of fire and light, our passion for our products and the enthusiasm of our customers form a solid basis for our traditional brand. 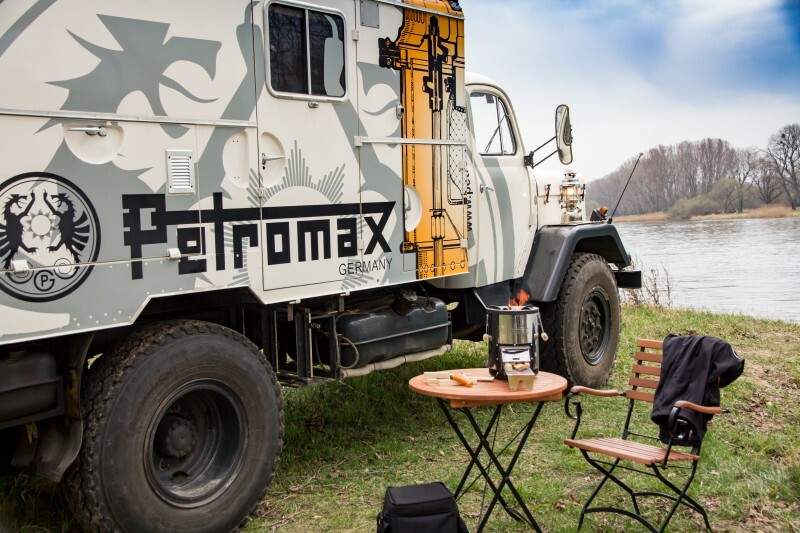 Every day, the Petromax team is proud to make its contribution, so that adventurers and globetrotters can keep coming together under the light of our products to share their experience. It is our philosophy to combine tradition and innovation. We rely on tried and tested sturdy materials to meet your quality standards as well as ours through innovative combinations. For us, this is what is important for all that we develop: A product is a good one only when it is resistant, robust and durable.